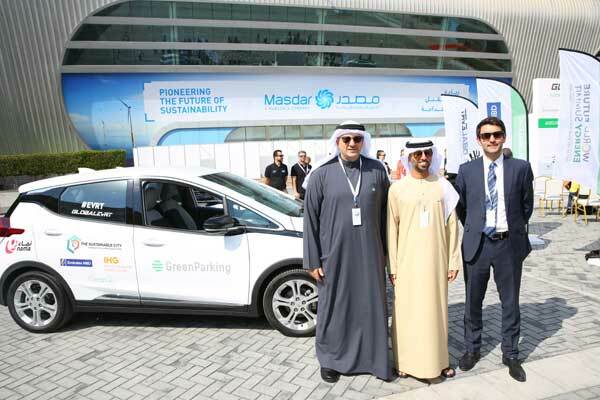 The event will launch at the World Future Energy Summit (WFES) in Abu Dhabi, UAE, on January 17. It is an eight-day adventure over 2,000 km from the UAE to Oman. Connecting experiential eMobility festivals and thought leadership forums, with one mission: To inspire transformation to smarter mobility. “The Chevrolet Bolt EV is a game-changer in the electric vehicles market particularly when it comes to its best-in-class 520km range and will help dispel common misconceptions that electric vehicles can’t drive long distances,” he said. At the event, Chevrolet launched the Bolt EV in the region following the announcement made at the Dubai International Motor show in 2017. The partnership once again marks another milestone with the Chevrolet Bolt EV now on sale nationwide in the UAE and other markets in the Middle East, said a statement. On the January, the electric fleet will drive a distance of 504km from the capital of the UAE to the capital of Oman, allowing the Chevrolet Bolt EV to demonstrate performance credentials over a long distance and prove that range anxiety is a thing of the past, it said. “The Chevrolet Bolt EV has proven it can tackle any real-world driving situation and we look forward to welcoming new EVRT Middle East participants this year to experience the car's outstanding green credentials themselves,” he added.